Shadow chancellor John McDonnell says he will be ready on day one of a Labour government to begin a re-nationalisation programme. A scheduled main line service of a traditional locomotive has taken place on Britain's railways for the first time in half a century. The number of deaths on the railways reached an all-time high of 332 last year, despite a record-breaking eighth consecutive year without a fatal train accident, according to safety figures. In the last 12 months, there were 293 suspected suicides and 22 fatal injuries caused by trespassing on main lines, the Rail Safety and Standards Board (RSSB) said, a rise from the 300 similar fatalities between 2013 and 2014. In addition, 10 members of the public, including two vehicle drivers, also died in accidents at level crossings, and a further four died at stations, while two workers were also fatally injured in road traffic accidents, and another in an incident at a train depot. RSSB's director of system safety, George Bearfield, said the rail industry took the issue of suicide "very seriously" and stressed the support from the Samaritans in tackling railway suicides. "Local Samaritans branches also work with station managers, station staff from both train operating companies and Network Rail and the British Transport Police, in prevention and post-incident support work.". Video of a near-death attempt to cross the tracks has been released by Network Rail. The footage shows a 14-year-old boy at Cross Keys station in Wales from May this year running in front of a train and jumping on to a platform and trying to board it. The angry driver leaves the station without him. He was cautioned by police. Newtork Rail have released video of young boys running across the railways a bid to keep passengers on the platform and off the tracks. The video shows a group of youngsters at Mill Hill station in North London running from a train onto a platform and then across two railway lines onto another platform. One youth drops his bag on the track and returns to retrieve it. The group was never caught. Modern trains are "very fast" and "often surprisingly silent" warned the British Transport Police. Chief Superintendent Miles Flood was speaking as part of a campaign to prevent people from crossing the tracks, after 41 people died trespassing on Britain's railways last year. Billions of pounds have been invested to give us a fast, modern rail network. Trains are very fast and often surprisingly silent, particularly if you are not paying attention. We spend thousands of police hours combating trespass to keep people safe and minimise disruption to the network. If this campaign can prevent one British Transport Police officer having to tell someone that their loved one has been killed or maimed, it will be worth it. Rail chiefs are pleading with young people - particularly men - not to cross the tracks at stations, after 41 people died last year trespassing on the railway. Over the last year 270 people have lost their lives crossing the railways tracks, with 16-24 year old males making up four out of 10 fatalities. Fatalities occurred at both railways and stations. A survey carried out as part of the campaign to keep people from trespassing, called Track Tests, revealed even though most people agree it is dangerous to cross the tracks, a third (32%) think they would hear an oncoming train in time. However, 16-24 year old males were more confident and just over half (51%) thought they would hear the train coming if they were on the tracks. The government's transport secretary has said that his department is taking "swift action" regarding the controversy surrounding the West Coast rail franchise. "The NAO has made a number of recommendations that mirror many of the findings of the Laidlaw Inquiry in terms of the work we need to do to strengthen our organisation and the structures within it. "We are already taking swift action on this front and I believe the plans we are putting in place to ensure future franchise competitions are conducted on the basis of sound planning, the rigorous identification and oversight of risk, will prevent a repeat of these lamentable failures." The House of Commons Public Accounts chairman has called the government's handling of the West Coast franchise a "fiasco." 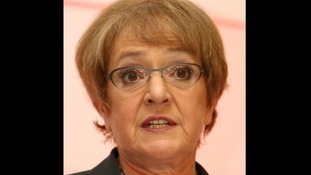 Margaret Hodge, Labour MP for Barking, said: "The DfT's handling of the West Coast franchise was a first-class fiasco." "It has left the Government's entire policy on rail franchising in disarray, as a further three competitions have had to be put on hold. "The total cost to the taxpayer of putting it right is currently unknown but is likely to be significant." Ms Hodge said the Dft had "blundered into this major and complex competition for one of the biggest franchises in the country without even knowing how key parts of its policy were to be implemented". The head of a report that stated that taxpayers were likely to incur a significant bill over the West Coast rail franchise has said that there are "serious problems." National Audit Office (NAO) head, Amyas Morse, said: "Cancelling a major rail franchise competition at such a late stage is a clear sign of serious problems. "The result is likely to be a significant cost to the taxpayer." What's next for the West Coast main line?